Park of the Monsters (1552). Devised by the architect Pirro Ligorio on commission of Prince Pier Franceso Orsini, called Vicino, to vent the Prince's broken heart at the death of his wife Giulia Farnese. 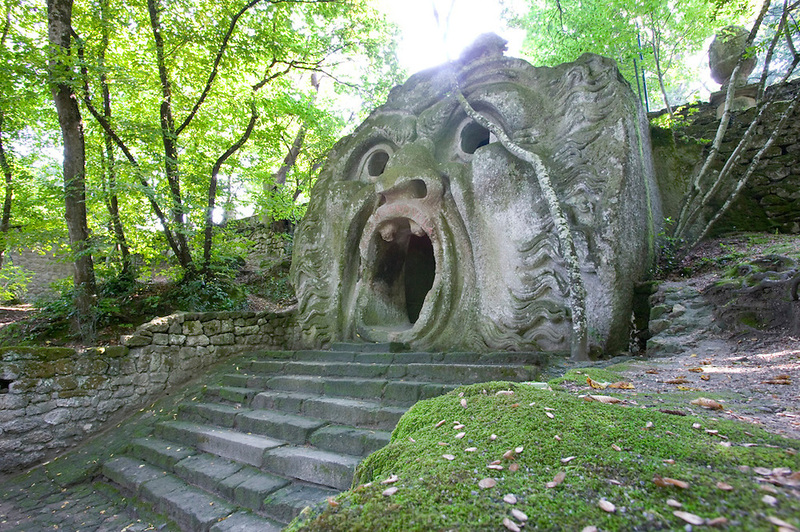 Bomarzo, Italy.